Capital Bank credit cards offer customers a wide variety of benefits, including exclusive offers on shopping and dining, complimentary access to airport lounges, as well as 24/7 customer assistance. Find out which card is right for you. 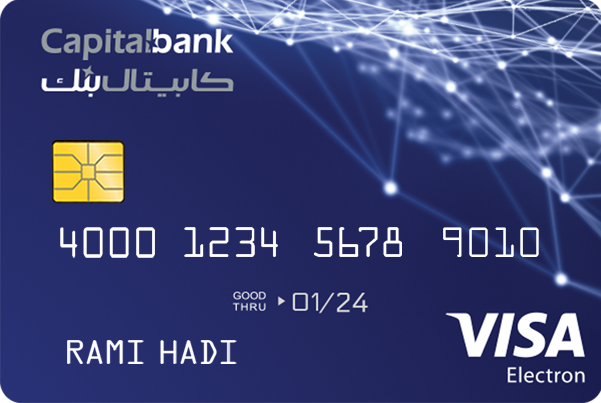 Automatic enrollment in “Capital Rewards”; a loyalty program that rewards you points whenever you make any local or international purchase using your credit card which you can then redeem instantly through the point of sale machine at designated stores or redeem for cash. 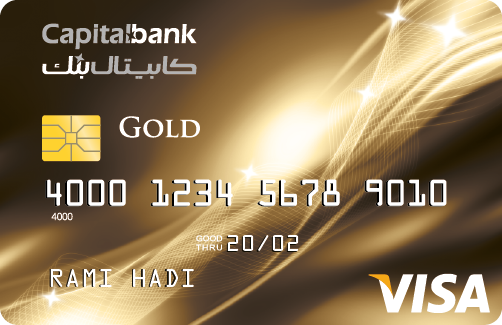 Offers and Promotions: for the hundreds of offers, discounts and benefits available to you when using the Visa Gold Card. 2 for 1 offers: Visa Platinum cardholders have access to the Entertainer Buy One Get One free offers, download “Visa offers MENA” app and register your account number to enjoy your benefits. 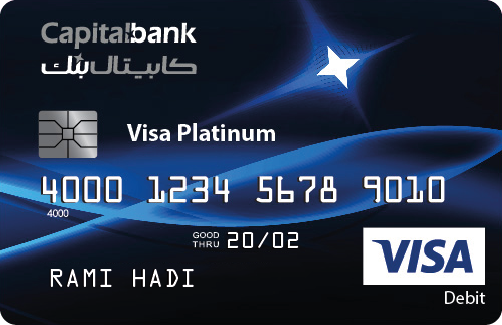 Offers and Discounts: for the hundreds of offers, discounts and benefits available to you when using your Visa Platinum Card. Visa Premium Concierge: Visa Signature Concierge offers a host of services, 24 hours a day including flight, hotel, restaurant and car rental reservations in addition to event ticket purchases and trip planning. Multi-trip travel insurance: you as the cardholder and your family are covered on all trips up to 90 days in duration. Extended Warranty: extended warranty adds real value to your Visa Signature card. It doubles the repair period offered by the original manufacturer’s warranty for up to 1 year, protecting you against the cost of repair and replacement of an item. Purchase Protection: purchase protection provides you with additional peace of mind every time you make a purchase. It protects you against the theft or accidental damage of purchased items, so you can focus on simply finding that perfect buy. DragonPass ‘Dine & Fly’ airport dining program: cardholders now have access to over 200 airport restaurant offers globally. Please download the app (Dine & Fly) and complete a simple registration in order to begin redeeming. 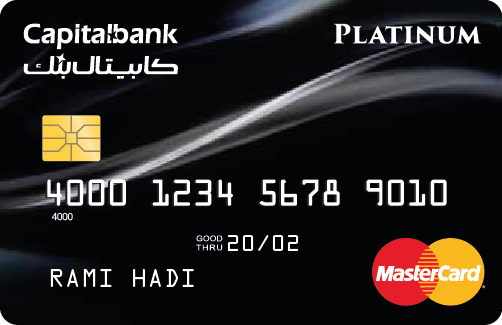 Eligible Cardholders can get up to 4 months of free Anghami Plus membership per year when paying with their Visa card. Eligible Cardholders get the first month of Anghami Plus membership free of charge, and an additional month free of charge for every 2 consecutive paid months. 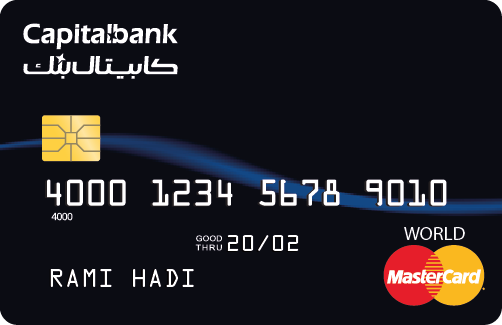 Eligible Cardholder is required to go to Anghami website (www.anghami.com) and select the Visa offer. 2 for 1 offers: Visa Signature cardholders have access to the Entertainer Buy One Get One free offers, download “Visa offers MENA” app and register your account number to enjoy your benefits. 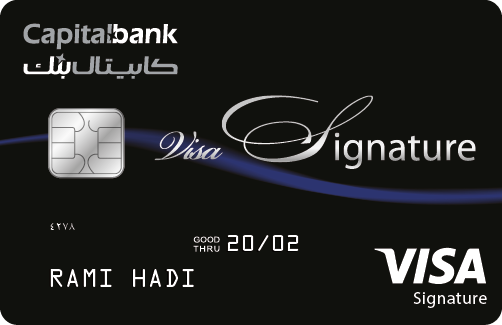 Offers and Discounts: for the hundreds of offers, discounts and benefits available to you when using your Visa Signature Card. Visa Premium Concierge: The 24-hour concierge provides a personal service to Visa Infinite cardholders, taking care of all the details so they can simply take their seats and enjoy. Multi-trip Travel Insurance: Use your Visa Infinite card to pay for your travel and enjoy comprehensive travel insurance for everyone in the family on all trips up to 90 days in duration. Local and International offers and promotions: take advantage of Visa deals and discounts at home and overseas. 2 for 1 offers: Visa Infinite cardholders have access to the Entertainer Buy One Get One free offers, download “Visa offers MENA” app and register your account number to enjoy your benefits. Global Blue lounges: process your VAT refund in style in key cities with Visa and Global Blue. Visa Infinite Cardholders get access to premium Global Blue lounges across key locations in Europe to process your VAT refund across the following cities: Milan, Rome, Venice, Munich, Madrid, Paris and London. Complimentary access to over 900 airport lounges, worldwide. Travel Inconvenience Insurance; you’re covered whether your luggage goes amiss or you experience flight delays. Travel Medical Insurance; rest assured that you receive compensation for medical care or emergency help if you need it provided that the travel ticket is purchased with your World Mastercard. Travel Insurance confirmation letter; generate a travel insurance letter seamlessly and instantaneously for your visa application needs provided that the travel ticket is purchased with your World Mastercard. Transfer your outstanding credit card balance to Capital Bank and receive access to additional funds, competitive interest rates, and most importantly, enjoy the peace of mind and personal service that comes with our credit cards. With the Easy Payment Plan (EPP), you can now choose from hundreds of products to purchase from selected merchants and pay monthly instalments – with zero interest and a low fee of JOD 5 per transaction – when using any of Capital Bank Visa credit cards. Using EPP is simple. The option will appear on the point of sale after entering your pin number, and will include the offer details and the number of installments required. You can choose whether or not you would like to pursue this offer. Interest will be charged to your account if the purchase balance is not paid in full within one year. Enjoy unparalleled security and peace-of-mind with the One-Time Password (OTP) and MasterCard 3D Secure Code Services when shopping online using Visa and MasterCard credit cards issued by Capital Bank. The services add an additional layer of security when making online credit card transactions at supported merchants, sending a text message (SMS) to your registered mobile phone containing a one-time passcode for use with each transaction. When using your credit card to shop at any of the online merchants that support the service, enter your credit card details and complete the checkout process as usual. A new window will appear requesting your one-time passcode for this transaction. At the same time, you will receive this one-time passcode via an SMS message sent to the mobile phone associated with your account. Enter your one-time passcode, making sure to tick the box indicating you agree to the terms and conditions of the service. How can I register for the services? All Capital Bank Visa and MasterCard credit card holders are automatically registered for the service. What happens if my mobile phone is unavailable? If you do not have a mobile phone or have not associated a mobile number with your account, you will not be able to receive your one-time passcode via SMS, and you will instead receive a notification requesting that you call our Contact Center. You will need to call our Contact Center at 06 5100 220 to ensure registering your mobile number with the service. What do I do if I don’t receive my passcode even after requesting it several times? If you do not receive your passcode after three attempts, you will need to call our Contact Center at 065100220 to ensure that your phone number is correctly registered. What do I do if I enter the passcode incorrectly? You will receive a notification indicating that the passcode entered is incorrect. Please recheck the code you received and enter it again. What does it mean when the Capital Bank verification page does not appear after completing an online transaction? The Capital Bank verification page may not appear after every transaction as some online merchants are not registered with the service. How can holders of secondary credit cards benefit from this service? If you own a secondary credit card issued under another primary card, the passcode will be sent to the mobile number registered to the secondary card. 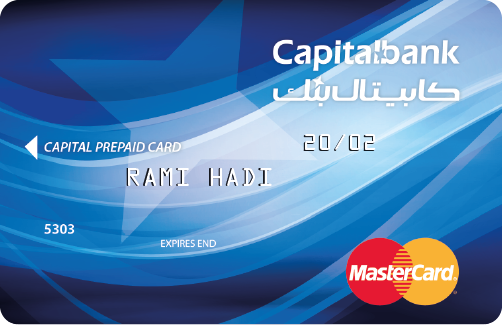 Capital Rewards Program is a loyalty program that rewards capital bank credit card holders through earning points when purchasing items on the credit card, the points can be exchanged instantly on the Point of Sale machine at designated stores and locations. Once a credit card is issued, the card (primary or supplementary) will be automatically enrolled in the program. What are the types of credit cards that are included in the program? 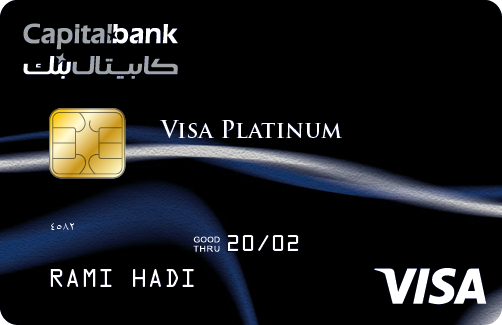 VISA credit cards: Infinite, Signature, Platinum and Gold. When using the credit card for any payment whether local, international or online. How can someone redeem points on the POS machine? How can someone find out the available points balance? Can the points be redeemed as cash? Yes, the earned points can be redeemed as cash at any time by sending a Secure Mail through capital online or by contacting the call center, where the points will be converted into cash and credited to the cards account effective on the following working day. Where can the points be redeemed?